Most college students will require some form of education loans to help them meet their college costs. Undergraduate and graduate students alike, find themselves faced with mounting debt as they work toward their ultimate degree. Graduate students in particular incur a large amount of student loan debt before finishing their studies and entering the professional marketplace. However, there is a way to mitigate some of that student loan burden. Graduate and professional degree seeking students should consider the benefits of loan consolidation. By consolidating your graduate student loans, you can reduce their monthly payments, more easily manage your student debt and find your way out of the student loan maze. What Is Graduate Student Loan Consolidation? Graduate student loan consolidation helps students manage their debt by combining all outstanding education loans in to a single, more manageable loan package. When you consolidate your student loans, your new lender will pay off all of your outstanding debt, leaving you responsible for one loan from one lending institution. You will no longer be accruing interest on multiple loans, and will now have only one monthly payment to make. For a student fresh out of graduate school, just entering the workforce, this can be a great financial relief. How Will I Benefit From Graduate Student Loan Consolidation? 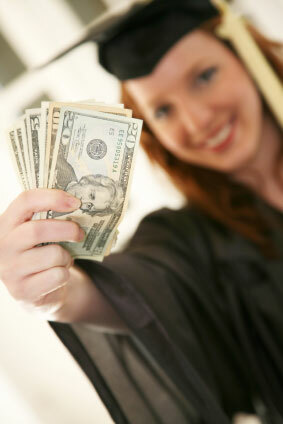 Graduate student loan consolidation is an excellent way to manage your student debt. Making several loan payments a month can be difficult, both financially and personally. Multiple loans are more expensive in the long run, and the more bills you have to keep track of the more likely you will be to miss a payment. A consolidation loan can be the answer to your student debt woes. When taking out a consolidation loan, you engage a new lender who agrees to pay off all of your outstanding student debt. The lender will then write out a new loan for you, covering all of the previous debt, leaving you with a single loan to manage. Payments are easier to maintain, and often you can secure your consolidation loan at a more attractive interest rate which will save you money over the life of the loan. Consolidating your graduate student loans can also provide a much needed boost to your credit score. Your previous student loans will be retired as paid in full, and you will reap the benefits of a solid credit history making future financial transactions much easier. How Can I Apply for Graduate Student Loan Consolidation? Graduate students can apply for consolidation loans through on of the major student loan organizations such as Sallie Mae or Nelnet. Consolidation loans are also available through private banks and credit unions, though students should keep in mine that the interest rates and payment plans through a private lender may not be as flexible as those available from a dedicated student loan organization. Applying for a consolidation loan is easy, and most lenders offer the convenience of an online application process. Many students, both undergraduate and graduate, choose loan consolidation as a way to more easily and efficiently manage their student loans. It can be difficult to face a mountain of debt just as you're entering the job market, but graduate students who consolidate their education loans can rest assured that their student debt is under control, and that they have made the right decision for their financial future.